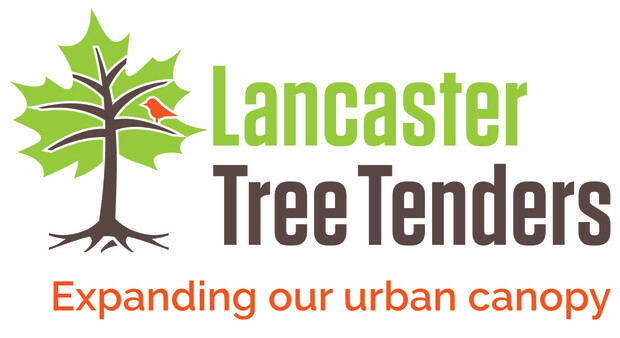 What is Lancaster Tree Tenders? Lancaster Tree Tenders was formed to solidify our efforts for a comprehensive program that engages the community and creates long term sustainable impact. Our purpose is to increase and enhance Lancaster’s urban forest by engaging and empowering neighborhoods to plant and care for trees. By engaging and training City residents, we hope to capture stormwater as part of the city’s effort to reduce pollution and runoff into rivers and Chesapeake Bay, increase biodiversity within the city, and beautify neighborhoods. But urban trees can have a much bigger impact than that. Studies have shown that urban trees can help save energy by reducing cooling costs, have health benefits, increase pedestrian traffic in shopping areas, and have been correlated to reduced crime. Furthermore engaging community members in working together on ongoing projects has been shown to further increase community pride and reduce crime, making our efforts doubly important. A collaborative effort, Lancaster Tree Tenders is an initiative of the Lancaster County Conservancy’s Urban Greening program with partners Lancaster City Alliance and the City of Lancaster. 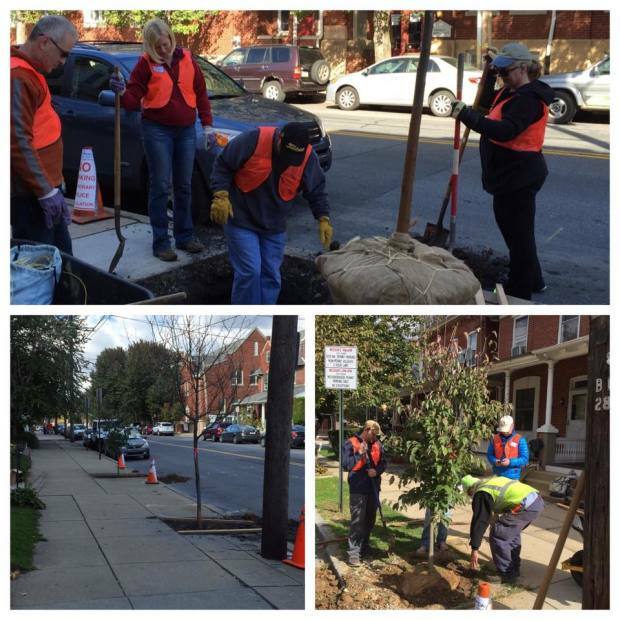 Our first planting took place in the fall of 2015 in the northeast portion of Lancaster City where neighbors and volunteers participated in a street tree training and planting of 28 trees on 5 city blocks. Efforts are underway for additional plantings in all quadrants of the City. These plantings are a wonderful demonstration of our efforts and the community engagement they create. Learn more about the City of Lancaster tree program here. Are you a City resident interested in planting trees? Find out more about the City’s Street Tree Planting Program, or sign up for a free street tree.